HORSE RACING: THE first-time joint venture between the Rockhampton Jockey Club and Capricornia Yearling Sale achieved the magical result when sales receipts topped the million-dollar mark at the Rockhampton Showgrounds on Sunday. In all, 83 yearlings were sold, grossing $1,031,250 for an average price of $12,425, completing a clearance rate of 79.05 per cent. This was a substantial increase on last year's sale results when 77 youngsters sold averaging $10,922 and grossing $841,000 from a 76.24 per cent clearance. The positive gains from this year's sale rode on the back of the unprecedented winning strike rate by 2017 graduates who had won 13 individual races before the sale. This amounted to a winner's percentage of 16.88 per cent from the 2017 CYS catalogue which is believed to be unparalleled in Australian Yearling Sale history for the first six months of a racing season. Those figures, buoyed by an upbeat promotional campaign, drew national attention to Sunday's Rockhampton sale which resulted in yearlings being sold to Victoria, ACT, New South Wales and throughout Queensland. Yearlings were priced to suit all purse strings, ranging from as low as $1500 for Lot 62, a Top Echelon filly, to the highest price being Lot 33, the Spill The Beans colt purchased by a syndicate of owners, including local trainer Jared Wehlow. The progeny of Aquis Farm-based first-season sire Spill The Beans (Snitzel-Miss Dodwell) was most popular with nine selling, averaging a shade under $20K. This followed on from the Gold Coast Magic Millions March Sale where 35 Spill The Bean's babies averaged a tick under $34K with the toppy making $170,000. Buyers of the Spill The Beans yearlings have included Garnett and Clinton Taylor, John O'Sing, Natalie McCall, Bill Reid, Bryan Hall, Stewart Nobbs and myself. Just 24 hours before Sunday's CYS, Kenedna, a half-sister to Spill The Beans, won the rich GR1 Coolmore Stakes (1600m) at Randwick which will add gloss to the young sire's CV. Grand sellers Oaklands Stud, Umbiram, sold the highest-priced fillies in Lot 42, the Sidereus-No More Crime yearling, for $42K to John Pointon and Prue Howard who have attained outstanding success with that family. Not surprising in the least, Oaklands striking grey Sidereus-Special Deposit filly, listed as Lot 88, sold to trainer Tom Button for $40K and he took home at least six yearlings. Lyle Rowe was the underbidder at $38K. True to his word, Oaklands stud master Neville Stewart "met the market” by selling Button another Sidereus yearling from winning Ferocity mare Red Raptor for the giveaway price of $2500. Oaklands sold all but one of its 22 yearlings, many at very low prices, which accounted for about an average of $10K for its draft. 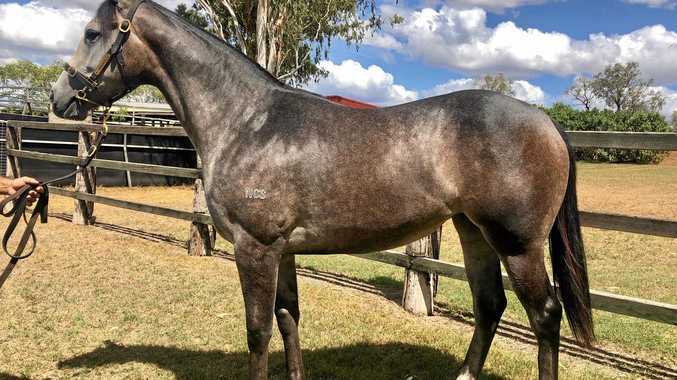 Earlier in the sale, Lyle Rowe purchased a charming "fillies' filly” in Lot 9, a grey Red Element-Bagger Princess x Bagger Vance female, offered on account of Lucas Bloodstock for $12K. "She was a lovely filly,” Rowe, understating the obvious, said. Gavin Milner spent some of the spoils from the wins of his Cyclone Topgirl and Allround Glory when he went shopping in the bargain basement and top shelf of Sunday's sale. He acquired Lot 32 (Wicked Style-Espenita) for $4000 and then another filly Lot 74 (Tycoon Ruler-Princess Cinders) for $39K. Gavin hopes to recoup those investments in prize money from Cyclone Topgirl and Allround Glory in Brisbane on Saturday. 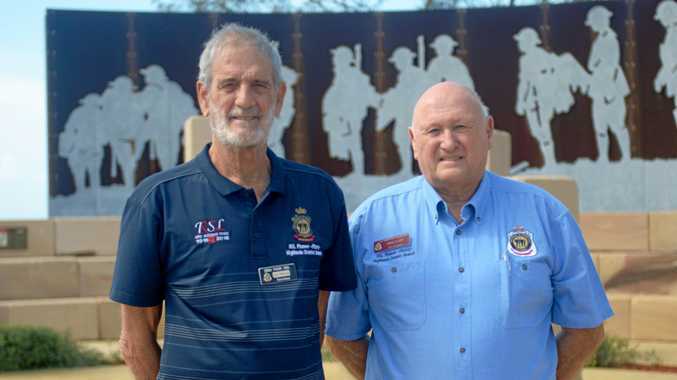 CYS convener Jeff Leaver was elated that the $1million mark had been surpassed which, some eight years earlier at the deflating sale of 2011, must have seemed an impossible dream. Leaver like RJC CEO Tony Fenlon were the orchestrating figures behind Sunday's success and they now have confidence that the 2020 CYS can go even better. There is confidence the 2019/20 racing season in Rockhampton for two-year-olds will also be record-breaking.